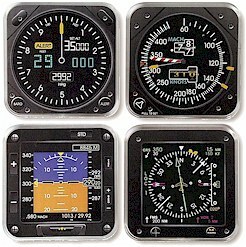 These Trintec items are authentic replicas of real aircraft instruments. Each coaster features a different design. Set of 4.